Do Men and Women Experience Mindfulness Meditation Differently? A new US study into the effects of mindfulness meditation training is raising plenty of headlines in the media this week, after key differences were tracked between two cohorts within the population: males and females. A 12-week academic course on mindfulness was conducted at Brown University, which included some regular experiential meditation sessions, and the study authors collected data by requiring all participating students to fill out surveys throughout the semester. Despite that the researchers concluded that men gained “an improved dimension of mindfulness involving the ability to identify, describe and differentiate one’s emotions”, UK’s Daily Mail ran the headline ‘Mindfulness only works for women’ for their coverage of the story, while The Telegraph went with ‘Mindfulness meditation helps women but not men’. 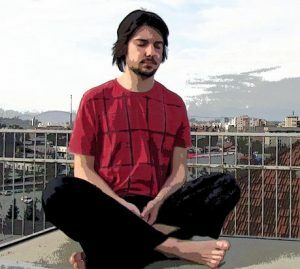 While other studies have shown that mindfulness meditation training courses are associated with improvements in mental health, including lower levels of stress and anxiety and greater resilience against depression, results from this one showed that this particular group of outcomes was not met by the participating men. It actually worsened slightly, according to the survey data, so this first-of-a-kind result deserves a closer examination. At the Good Men Project blog, Mark Meyuhas also distinguishes between mindfulness outcomes related to understanding one’s own emotions versus those related to reducing stress and anxiety. When it comes to the average man (and just like the average woman) the greatest source of stress is work-related. Male participation rates in voluntary mindfulness meditation programs tend to be lower overall, but on an individual level, many men experience high levels of stress in the workplace and are concerned about bringing that stress home with them. We’ll stay tuned for any future studies that aim to replicate these gender differences in employed adults with families, as opposed to students using mindfulness to grapple with the stress of final exams. So far, this general trend of female outperformance in mindfulness courses has not been conclusively shown to exist. While we’re aware of some differences in brain chemistry, and aware that cultural expectations in Australia often do depend upon gender, we still don’t have any solid clues as to what it is specifically about the male cohort that would cause such an effect to be observed. The balance of evidence overwhelmingly supports meditation as a way for men to lower their stress levels, develop coping mechanisms towards future stressors, and boost their mental health. Future studies should include information on whether male participants in mindfulness meditation courses are reporting similar benefits to their peers. At HSG, we adapt the style of our Mindfulness Workshops and Workplace Meditation Classes to suit your organisation’s objectives, the demands of your industry and the needs of your group. Call us today on 1300 889 073 to design a comprehensive program that best targets your goals. Holistic Services Group is Commonwealth Bank’s provider of choice for Mindfulness workshops (as of 2018).